It is with great pleasure and extreme honor that I get to announce that Rod Mackey is our School Districts Teacher of the Year. I appreciate the committee and all of the different building Teacher of the Year honorees! Mr. Mackey has done a great job for our students, our school, and our community. Thanks, again, to all those involved and have a great Spring Break! Rod Mackey has been teaching band for 19 years. He is in his 3rd year as Director of Bands at Collinsville Public Schools, where he teaches the High School Band, 6th Grade Trombone, 6th Grade Clarinet, and the High School Jazz Ensemble. He has previously taught at Pawnee, Ponca City, Berryhill, and Union Public Schools, where he was the 7th grade band coordinator as well as Director of the Jazz Program. Under his leadership at Union, the Jazz Program went from one jazz ensemble to four full ensembles in the span of six years. Rod is a graduate of Coweta High School, where he was in band, jazz ensemble, and was the drum major. He attended West Texas State University in Canyon, Texas and the University of Tulsa, where he received his Bachelors in Music Education in 1994. He is a member of Phi Mu Alpha Sinfonia, Kappa Kappa Si, Oklahoma Music Educators Association, Oklahoma Bandmasters Association, and Oklahoma Jazz Educators. He was named Jazz Educator of the Year for the State of Oklahoma in 2010. He was recently awarded the Certificate of Apizziation by Hideaway Pizza for his contributions in the bandroom and was also named as the News on 6 Most Impactful Teacher for the month of November. He has served as the President of the Oklahoma Jazz Educators and as the High School Band Chairperson for North Central Band Directors Association. His Jazz Ensemble I at Union was selected as an Oklahoma Music Educators Association Honor Band in 2012. His band at Berryhill traveled to the State Capital Building in Oklahoma City and was formally Cited for their Hard Work and Commitment to Excellence during the 2006 marching season. Under his direction, his marching bands have received four State Marching Titles and three Grand Champion Titles. His Jazz Ensembles have received three State Jazz Titles. He has been a part of two Bands of America Grand National Finals performances. However, out of all of these accomplishments, the one he is most proud of, is the 2006 Berryhill Band. They were named the 2006 Owasso Marching Invitational Grand Champion. This was significant in that a 60 piece band defeated all of the larger 6A bands who attended that day. His band at Collinsville recently won all of the captions and was named the 1A Class Champion, at Bands of America Super Regional in St. Louis, Missouri. He has learned many values from being in band through the years. He has a tremendous love for music and instruments. His favorite teacher was Avian Bear of Coweta High School. 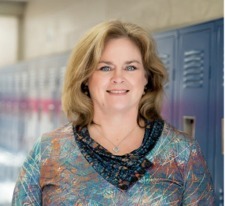 She was the Assistant Band Director and the Jazz Ensemble Director. Miss Bear seemed to always drive him to achieve at a high level in his personal, as well as musical life. She had a big influence over him with her infectious attitude and upbeat personality. She always seemed to have the best interest of her students at heart. There were several other role models that provided inspiration to Rod becoming a teacher. Among those were his saxophone instructor, Don LeFevre of West Texas University, his band director at the University of Tulsa, Ken Grass. Mr. LeFevre was a terrific performer on the saxophone and was very demanding. Rod recalls many, many hours practicing the fundamentals of music because he knew what the expectations were. Professor Grass was a great teacher in all areas and was an exceptional marching band teacher. 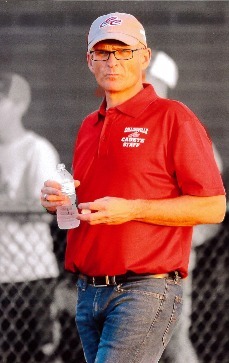 He was very passionate about marching band and instilled those qualities in his students. Rod was very fortunate to have served at his Drum Major while at TU. Rod currently resides with his wife, Lori, and his daughter Sheridan in Sapulpa. I am a firm believer that one does not necessarily choose to be a teacher. I believe that teaching chooses the individual. While some people choose to merely stay within the confines of a book where they are comfortable, true teachers take you on an adventure, leading you down paths where others dare not go. As I reflect on those that have had the greatest impact on my life, I tend to see a number of individuals that have danced on the outside of rules and marched to the beat of distant drums, not to be seen as troublemakers or instigators, but rather thinkers and creators. It is with those individuals that I learned to thrive. As the baby of eight, one might guess you had to develop a niche for survival. My parents were the first to help me develop that niche. They fed my creativity and encouraged me to be a thinker and a problem solver, never allowing me to play the Im the baby card. However, you only need to look at my parents and siblings for great examples of intelligence, creativity, persistence, and integrity. It could be said that each of my siblings were teachers at some level. I have three sisters who blazed the earlier path as public school teachers with the other four siblings having taught the likes of oil painting, drafting and defensive driving for the Oklahoma Highway Patrol. Each one achieving great success in their areas. They challenged me daily to be a better person. After graduating from Owasso High School in 1982, I set out to attend Northern Oklahoma Jr. College and become a member of the Lady Mavericks basketball team. I excelled in the competitiveness of college athletics learning many great lessons from life as a college athlete. I received my Bachelor of Science in Secondary Education while attending Southeastern Oklahoma State University and soon embarked on my current adventure of becoming a classroom teacher. Although my journey spans almost twenty-seven years, it truly feels like it began only yesterday. My adventures in teaching have taken me many places and allowed me to wear many hats. I have taught 6th through 12th grade students in many branches of science ranging from general science as 6th and 7th graders, SOOD (School Out of Doors) Coordinator for a private school, Biology, Physical Science and Alternative school for all ages. Not only have I filled an academic role, but I have filled many coaching positions and have sponsored many clubs, as well. 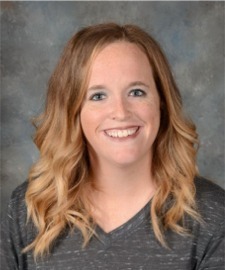 My coaching responsibilities have included fastpitch and slowpitch softball, basketball coach for both boys and girls at the middle school level, head basketball coach at the high school level, as well as, a track and field coach. I have been a sponsor for Student Council, Environmental Science Club and for the first chapter of the Collinsville Venturers of the Boy Scouts of America. I look at professional development opportunities as ways to continue sharpening my skills as a teacher. I have had the privilege to have been chosen to attend the Masters School in Dobbs Ferry New York to hone my teaching skills with other teachers from around the world. I was also chosen by the US Naval Academy to attend a week long STEM workshop in Annapolis, Maryland, again networking with other teachers, engineers and others learning how to implement STEM into our curriculum. As one can see, I tend to go where needed. While always remaining flexible, I have been encouraged to step out of my comfort zone many times and march to distant drums to achieve something for the greater good of my students. It has been during these times that I have had the honor and privilege to have crossed the paths of many great teachers and students along the way. Some have touched me in positive ways, as well as, negative ways; nonetheless,I have learned something from each of them. I have had the honor of raising two children who are wonderful bright individuals and who have become my best friends, just as my mother was to me. Each of my children have blessed me in so many ways. My daughter, Kaitlyn, works for Advanced Research Chemicals while my son, Hayden, is an Oklahoma Highway Patrolman. When teaching has become challenging for whatever the reason, my kids have dusted me off, wiped my tears , lifted me back on my feet while reminding me YOU are a TEACHER. You have ALWAYS been a teacher. Look at the lives that you have touched and continue to touch. This would give me enough confidence and strength to put me back on course. For that, I am and will always be grateful to them. In reflection, I can honestly say, I am blessed beyond measure. I have been entrusted with helping children find their voice and help them light the path for the next stage of their journey. It is those students, past and present, as well as, countless other children who have crossed the threshold of my classroom that have made their mark on my heart. It truly warms my soul to cross their path again; listen to their stories of triumphs, their successes, and hear them say that I played a part in their journey. Each one of them has brought me great joy, given me unrelenting support, and have been the foundations of friendships that I never knew could exist twenty years later. I believe I was chosen to be a teacher. I have been blessed. 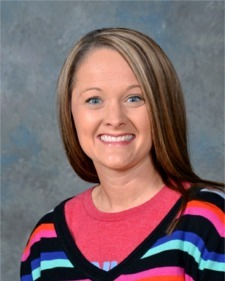 My name is Julie Beeson, and I currently teach English/Language Arts at Wilson 6th Grade Center. I grew up in Owasso and attended Owasso Public Schools from kindergarten through twelfth grade. After graduating high school, I attended Northeastern Oklahoma A&M, Tulsa Community College, Rogers State University, and then Southwestern Oklahoma State University, where I graduated with honors and received my Bachelor of Science degree in Education. I was not sure exactly what career I wanted to pursue when I entered college. I was at a loss as to what I wanted to major in and changed my major several times. I had not considered pursuing a career in education until a close childhood friend, who was majoring in elementary education, suggested that I try some of the courses she had taken. I knew within the first few weeks of my first education courses that I wanted to be a teacher. I fell in love with education and have loved it ever since. As an educator, I aim to make contributions that benefit both students and educators. I have always strived to make improvements in the classroom and the education system. I have long been a part of the fight for student and teacher funding and an advocate for students in helping to relieve the strict testing requirements at the state level. Being a part of the grassroots movement to decrease or eliminate EOI testing is one of my biggest accomplishments. 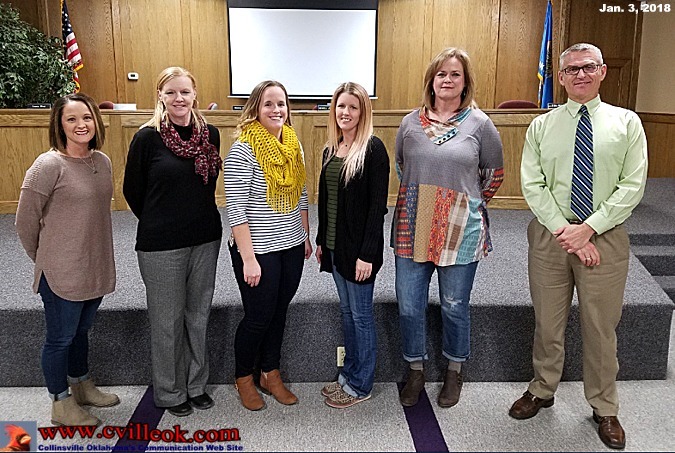 Another achievement at the state level was being at the forefront of having a Reading Proficiency Team implemented with the Reading Sufficiency Act. By providing a team, third grade students have teachers and parents as their voice instead of basing retention strictly on a standardized test. 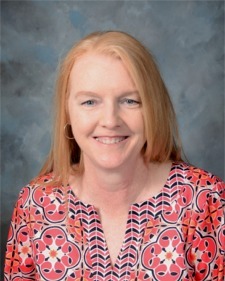 At the local level, I am currently in my fifth year as the Collinsville Education Association president and as a member of the certified teacher contract negotiations team. Being in both of these positions allows me to see education from many different perspectives. It has helped me to become more aware of what is important to administrators, teachers, and students. My passion is to engage my students, to help them to be more independent, and to give them the opportunity to experience a wide array of ways to learn and read. My philosophy is to give the students a voice in the classroom and let their voice help to set the groundwork for how I present instruction. As a teacher, I dont just make adjustments at the end of each year, I make adjustments daily. If something is not working, then I switch gears, think on my feet, and try something else. I reevaluate and come up with a new plan for tomorrow. Nothing is written in stone. We have to be flexible. I believe that a good educator meets each child at their individual learning level and tries to help every student feel successful. I know my efforts are worth it when past students come back and tell me that they remember my classroom. One memory that holds a special place in my heart happened when I was teaching eighth grade reading remediation at Collinsville Middle School. We were reading the first novel in a series. One boy came to tell me that he had asked his dad to buy him the rest of the series because he was so excited to read all the books. The boy said his dad asked him if he was crazy. When I asked the student why would his dad think he was crazy, he replied, I have never asked anyone to buy me a book before. As an educator, giving students choices and opportunities helps them to know there are many possibilities, not only for their future, but for each and every day. Collinsville Cardinals, fight, fight, fight!! My eyes have always been on being a Collinsville Cardinal. From the time I started kindergarten in Mrs. Stephens morning class and learned the school fight song to the day I graduated from Collinsville High School, I knew that I would ALWAYS be a proud cardinal. My path to become a teacher is not the feel good story of knowing ever since I was a young child. But, my journey to becoming an educator is what drives me to be the best teacher for every kid that enters the doors of my classroom. From kindergarten all the way through high school I was intrinsically motivated to be the best student in every single class. If nothing else, it was because I was extremely competitive and stubborn, but I also loved learning. I had aspirations to become a pediatric doctor, maybe even an oncologist, after witnessing the fight my brother put up against Leukemia. Upon, graduating as valedictorian in 2005, I attended Northeastern State University on a scholarship and majored in pre-med. I married the love of my life in 2007 and we started a family which made me consider whether I wanted to sacrifice time with them to become that doctor or maybe I should search for something else. Growing up I could never introduce myself to people in town without getting at least one story of my how my grandmother was the best math teacher around. She would put the fear of God in you but she also made you feel confident solving any Algebra problem that was thrown at you. Now, as a new mom I was witnessing all the growth and development of a child first-hand. I yearned to be a part of that in other childrens lives. After prayerful consideration, I started that next fall in the education program in Broken Arrow. I graduated in 2010 with a bachelors in elementary education and a certification in early childhood education. 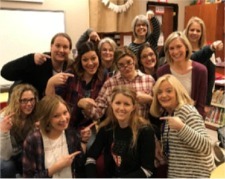 My career started in Broken Arrow teaching first grade, however, I knew in my heart that I wanted to teach the kids in Collinsville, Oklahoma. I wanted to see my students play sports, participate in colorguard, use their talents in band, and graduate ready to become a contributing part of the world. Building relationships with current and future generations, praying I have a hand in their daily successes, was and still is a driving factor for my decision to teach children. As a teacher it is my desire to first create a climate of mutual respect and build relationships with each and every student. To achieve this I spend lots of time investing in conversations with children of all classes, not just my homeroom. It is not uncommon to find me having lunch with the kids in the cafeteria or playing Gotcha on the playground during recess. When it comes to teaching academic content, my philosophy is to create meaningful learning experiences for my students and to be in constant reflection of my methods and approaches. I spend countless hours reading literature and blogs that pertain to my grade level and subject areas researching teaching methods and ideas to keep my students engaged. I am also convicted that using data-driven instruction can provide amazing results and growth in all students. When I couple these engaging learning experiences with my ability to create authentic relationships, I see success and growth, even with some of those students who are harder to reach. My contributions to education are nothing out of the ordinary in my opinion. I strive daily to be a positive influence on not only the kids in my class, but the kids in the building and the kids who will or already have passed though the CUE. Anytime I find strategies that work in my classroom for academic or behavioral success I offer to share them with anyone who will listen to me ramble. My heart truly is aimed at using my passion and talents to impact student and family lives right here in my hometown. I will also do whatever it takes to represent to our community and those around the state that public education is important. Funding it is imperative. Being involved in and seeing the fruits of it is illuminating. Bottom line is, I love teaching, I love kids, and I love teaching kids. Being an educator is a calling. I can still remember the first time that I met Mrs. Jones. She was my Fathers First Grade teacher as well as mine. I was a little scared of her at first. Her demeaner, height, and tone let you know very quickly that you were entering her world. The trepidation that I felt was quickly turned into excitement once I entered Mrs. Jones classroom. I entered a world that year that felt as though it had no limitation. I was able lose myself into a world that was exciting, dangerous, uplifting, dramatic, and wholesome. I entered the world of reading. My love for reading began here and this love has propelled me throughout my professional life. The passion that I felt that first day in class, embodies the passion I feel every day before the bell rings. The possibilities are endless and I hope to serve as a vessel for those willing to enter this world. I have always loved children. From a young age, I was routinely interested in working with kids and opening their hearts to the world of reading. The ability to share this passion is what drives me daily and what challenges me before every lesson planning session. Being able to expand a students mind and make them cognitively believe in the endlessness of their potential is a fundamental reason for my love of this profession. Molding the minds of tomorrow while welcoming the past is the delicate dance that those who love reading have the pleasure of enjoying. Realizing that no limitation is placed on my students warms my heart. Days in which I am successful are moments in which I feel like Mrs. Jones. Although education is not a profession in which personal pursuits and accolades are paramount for continued passion, I have been fortunate enough to involve myself in pursuits and programs designed to bring out the best within an educator. Securing my Masters in Reading was a pivotal step along my professional journey. The desire to further impact learners through reading was the motivation behind this personal journey. I wanted to understand why knowledge foundations are paramount and consequently how to ensure that these foundations are built upon strong footings. Being able to continually dive into the cognitive theory attachment to reading ability and mastery has allowed me to design curriculum that focuses on both the intent and ability of the learner. Having a foundation in which to lean upon has allowed me to expand my methodology in relation to reading mastery. Continuing along this pathway of lifelong learning has also allowed me to attend the Educators Leadership Academys Redefining Leadership Experience in which I was able to correlate educational theory with executive development. Being able to learn from the tenets which mold our corporate and private sectors leaders allowed for carry over into the world of education. I could see the common denominator that successful people share. They all have a love for reading! The same conclusion that I reached in first grade was solidified through this immersive learning experience. My love for reading has continually pushed me towards sharpening my own educational paradigm. I have constantly sought out programs, such as Literacy First, in which I could mold my love for reading into groundbreaking educational theory based on learning styles. Being able to draw from the vast litany of resources that a program such as Literacy First has at its disposal only makes me better as an educator. It allows me to draw more children into the amazing world of reading. Any vessel in which I can attach myself to that allows children to see beyond their current state is worthy of both my time and attendance. My love for my students, coupled with a passion for reading have allowed me to be nominated three consecutive years for Teacher of the Year at my building. Each nomination was welcomed by myself, my family, and my students. Although two nominations ended without selection, I was confident that my peers recognized my passion. The greatest accomplishment that you can have as an educator is when those around you trust you with their children. They know that you will constantly push yourself so that others can receive the greatest gift we can give to our students. The gift that Mrs. Jones was kind enough to entrust to me. Growing up, I was like most little girls. I looked up to my teachers and wanted to be just like them. I went home and played teacher with my baby dolls, friends, and any other willing participant. When I outgrew that stage, the idea of becoming a teacher just stuck. I grew up always saying I wanted to be a teacher when I grew up. When it was time to choose a college degree, there was no question about what it would be. While going through college, I worked at a hometown daycare. I worked there for couple of years during college until I had an opportunity to take a job at a bigger childcare facility in Tulsa. After working in childcare for a couple of years, I knew education was exactly where I needed and wanted to be. After graduation, I began looking for teaching jobs in the area. I was offered a job at Tulsa Public, but turned it down because I had just found out I was expecting. I decided to substitute for a few districts and landed a long-term job at Wilson. The next year, there was an opening at the ECC and I was hired and have been here since. During elementary school, I had amazing teachers. All of them were unique, but each were very special. My second grade teacher, Mrs. Meeks, was so kind and understanding. While I was in her class, my Grandma passed away. She knew my grandma because she worked at the school before she became sick. One day, not long after my grandma had passed, I got a grade on a paper that I knew my mom would not approve of. Before taking it home, I left a little note on the top of my paper that said, I miss my grandma, in hopes that my mom wouldnt punish me. My mom was not impressed, but Mrs. Meeks was so sweet to comfort me and be so understanding. When I began high school, I had two coaches and two teachers that I admired. Mr. Earp and Mr. Meeks were my FFA teachers and they were always so helpful. They pushed me to do and be my best, whether it was in the shop welding, in the classroom, or with my show animals. They always set aside time for any student that needed extra help. Coach Dillman and Coach Wills were my basketball coaches. I always felt like they were so hard on me, but looking back, Im so glad they were. They were hard on me because they believed in me and wanted the best for me. I improved so much because of them. I believe that having teachers like I had are what influence my philosophy. I strive to be a caring, understanding teacher, all while pushing the child to be their best. Each child can learn, and will learn, with love, understanding, and encouragement. All children have many different needs and my goal each year is to meet each of them. I feel a great sense of accomplishment at the end of each year when I look back and see the progress each child has made. I believe that my eagerness to try new things and change frequently (if needed) is what makes me a successful teacher. Times are changing and I believe teachers have to change to accommodate the needs of the children. I have noticed over the past few years that my students need more opportunities to move around; that is why I use flexible seating in my classroom. It provides those students who need to move about with an opportunity to do so, without actually moving around the room. All of these things, in addition to having an amazing team to work with, are why I am able to be a successful teacher. If it werent for the support of past teachers and coaches,and my team, I wouldnt be where I am today.